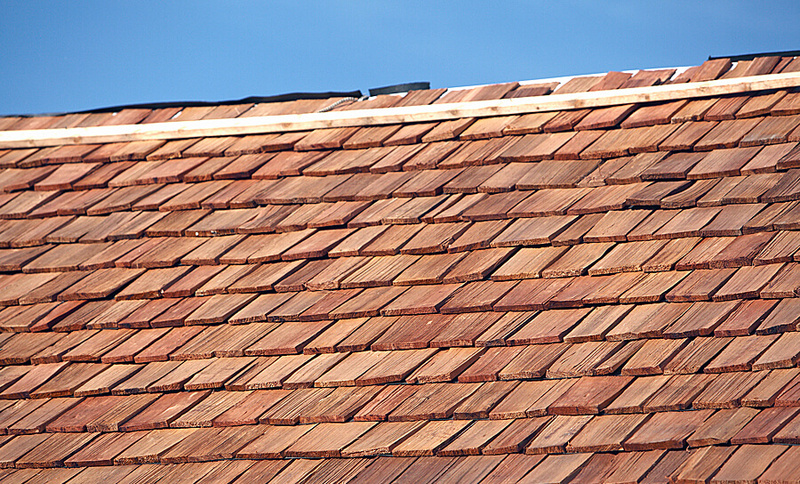 Why Choose a Cedar Shake Roof? : Thompson's Roofing, Inc.
Cedar shake roofs have gained massive popularity in the past few years for both commercial and residential properties. This rise has been due to the charm and beauty of your real estate as well as their versatility and functionality. If you are looking to replace your existing roofing system or constructing a new house and are finding it difficult to select what roof you should select, we are here to provide you four reasons why a cedar shake roof should be your choice. Durability Let’s face it, a roofing system is something you seek to invest in for the long-term. Therefore, the first and foremost feature required is that it lasts at least 15-20 years before the need to replace them arises. Versatility Cedar has the natural tendency to resist extreme climates. Whether the temperature rises up to extreme ends or falls down below freezing points, cedar wood can take it all. Natural Insulation Cedar wood has so much to offer naturally that not choosing it for construction has been a major mistake which is being rectified now. The wood is a natural insulator meaning it does not allow heat and cold to pass through your roof. Increased Property Value and Marketability Cedar’s growing fame has made it a great addition in terms of selling your house. The benefits of cedar wood have made cedar roofs a big plus for property buyers and in a recent survey real estate agents reported houses with cedar roofs sold 80% faster and at better prices.